Although Monroe famously left Hollywood to try to be a real actor in New York in 1954, due to being fed up with dumb blonde roles, she didn't always get those roles - although she was usually not the lead in the non-dumb roles, except for "Don't Bother to Knock." 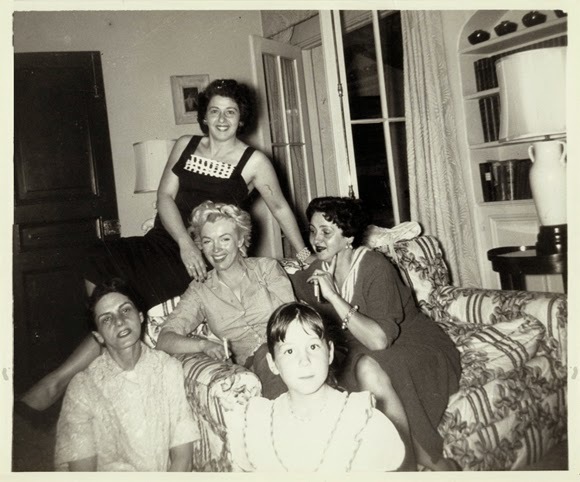 Interesting Salon article: Marilyn Monroe, babysitter. Here is Marilyn in Clifford Odet's "Clash by Night" - Odets was primarily a playwright best known for WAITING FOR LEFTY, and his plays dealt mostly with working class people as in this movie. Marilyn's part in this is definitely not typical. It's a minor role, Barbara Stanwyck is the female lead, but somebody on Youtube very kindly created a video that shows all Marilyn's scenes from "Clash by Night." ...she also left us warmth and wistfulness. And the knowledge of her vulnerability makes each one of us, perhaps, less lonely. Boy if I can get that sentiment across in my play (which I may also turn into a screenplay) I will be very happy.